Phish frontman Trey Anastasio just released his new album Ghosts of the Forest, and his band of the same name played two nights at NYC’s United Palace over the weekend to celebrate. Trey shared a recording of the 4/13 show which you can purchase here. Ghosts of the Forest hit California this week (with Yo La Tengo and Khruangbin), and the Trey Anastasio band also dates coming up, their first full-band shows in two years. Those date include stops in Atlanta, Denver, New Haven and more. Next up for them is an appearance at NYC’s Beacon Theatre (4/26) for a special Tribeca Film Festival event that includes a screening of new Trey documentary, Between Me and My Mind, which is sold out. However, Trey and the band have just announced two more NYC shows, happening right after Tribeca, at Brooklyn Bowl on April 28 & 29. Tickets for those shows go on sale Friday, April 19 at 10 AM with a TAB fan presale happening now. All dates are listed, along with a stream of the LP, below. 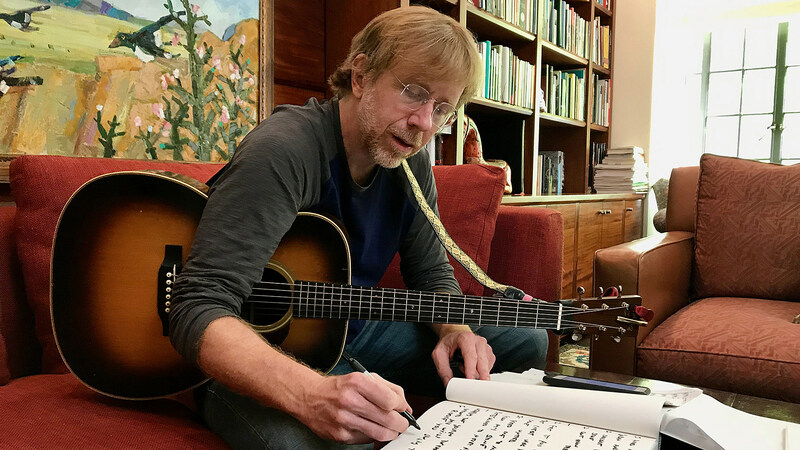 The film captures Trey as he works through some of his most personal song ideas to date, placing his relationships with friends and family at its core. At the same time, he prepares for one of Phish’s legendary New Years Eve shows at Madison Square Garden, culminating with the exhilarating, elaborately produced moment when the clock strikes midnight on-stage. This is an eye-opening exploration of the method behind Anastasio’s magic, told with the same loving warmth that endears him to his fans. The film makes its world premiere at Tribeca Film Festival, stay tuned for more screening dates. In other news, Phish will be on tour this summer, too.